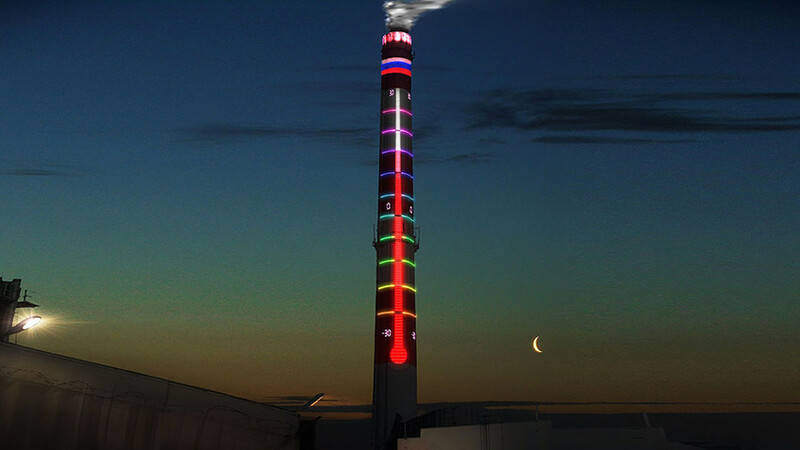 A huge factory tower in the city of Ufa has been turned into a giant thermometer. Local engineers created the illuminated structure, which not only indicates the temperature but also lights up the water vapour coming out of the chimney. The local authorities commissioned the artwork to add a dash of color to Ufa’s industrial cityscape. Other Russian cities are trying to brighten things up as well, with Krasnodar even asking graffiti artists to work their magic.